- Antonino Joseph "Tony" Sciuto, Jr. (born December 30, 1952 in Baltimore, MD) is a songwriter, performer and record producer who has been active since 1965. He was a member of both Little River Band and Player. 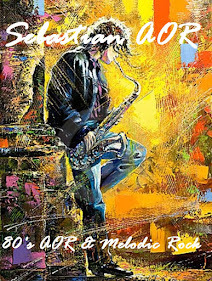 Sciuto has written songs for the Bay City Rollers, Nick Kamen, B. J. Thomas and Tina Turner amongst others. He has written soundtrack songs for several movies and scored a Top 10 hit in Japan. At the age of eight, Sciuto asked his mother for a guitar and was self-taught from listening to singles and reading music books. In 1964, he was taken to a Beatles concert that inspired him to take up music. As a teen, he also took formal guitar, piano, vocal and composition lessons. Sciuto studied Music Prep at the Peabody Institute. In 1965, The Beatles' New York affiliate manager Nat Weiss cited Sciuto to Brian Epstein as a "young protégé" to travel to New York for grooming. In 1975, Sciuto entered and won various contests with his songs in the American Song Festival. In 1976, Sciuto had his song "My Lisa" recorded by the Bay City Rollers on their Dedication album on Arista Records. In 1979, he had two Top 40 hits in Japan and Australia with the song "Island Nights", recorded by Hideki Saijo in Japan and Marc Hunter in Australia. 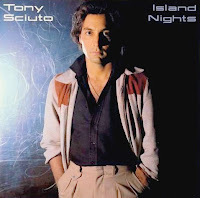 In 1979, Sciuto was signed to Epic Records, with a 1980 release of his Island Nights album which reached the Top 10 in Japan along with the title track single. The album was written with lyricist Sammy Egorin. In 1981, Sciuto and his band toured Japan to rave reviews, opening the American Music Festival. Sciuto, and Sammy Egorin wrote "Last Sound Love Makes" for Don Johnson's album Heartbeat on Epic Records in 1986. In 1988, Sciuto co-wrote Nick Kamen's "Bring Me Your Love" for the Us album on Sire Records, which was Top 20 in Italy and France. He co-wrote "Stronger than the Wind” for Tina Turner on Capitol Records in 1989. In 1989 Sciuto co-wrote "One Last, One More Time" for B.J. Thomas on the Midnight Minute (Reprise Records) album. Also in 1989, Sciuto was a member of the John Stamos fictional band Jesse and the Rippers, and co-wrote a song for the episode "Comet's Excellent Adventure", for the Full House television series. In 1990, Sciuto co-wrote the title track for the Little River Band album Worldwide Love, with the song charting in Germany. He joined the Little River Band as a member and pianist from 1990 to 1997. In 1991, Sciuto co-wrote and performed "Out Of The Darkness," the credit roll music for the film All-American Murder starring Christopher Walken. In 1992, he co-wrote "High Life" which was used in the Drew Barrymore film The Amy Fisher Story. In 1996, Sciuto wrote, recorded and released the album Holiday in Eden under the band name Banging Rush. In 2001 Sciuto wrote a song with Sammy Egorin, "Legend in the Sun", that commemorated the career of Baltimore Orioles shortstop Cal Ripken, Jr. He also performed the song on the Orioles dugout to a sellout crowd prior to the game. Sciuto performed as keyboardist with Player from 1998 to 2001. Sciuto released Be My Radio, Live in Japan and Diamond In The Rough CDs on the Cool Sound label in Japan. Union of the Soul was released in 2010. Sciuto is working on his next release Under the Radar. He still writes and performs on the East Coast of America and releases his music worldwide. In 2012, the Tony Sciuto Band performed in Japan for the second time in 32 years, performing the entire Island Nights album for seven shows at the Cotton Club Tokyo. In 2014, Vivid Sound Records is releasing Under The Radar (Limited Edition) with the live Cotton Club Show as the second, bonus CD.